(B) Also the “Homestead Exemption” is referred to as a homestead protection which is designed to protect a person's primary residence in the case of financial hardship, such as the death of a spouse or another example is if the homeowner becomes severely and permanently disabled - unable to work. In this case, a widow or widower and/or the disabled person will more-than-likely be faced with bills that he or she can no longer be able to pay. Here there is no doubt that creditors will be aggressively coming after the homeowner for debt payment. At this point the homeowner may rightfully feel that “selling” his or her home or filing for bankruptcy are the only options they have. For various other reasons, individuals facing overwhelming debt also have the right to declare bankruptcy. Fortunately, if a person who is experiencing financial hardship and decides to file for bankruptcy, the Homestead Exemption will allow some and/or all protection of the equity in your home from creditors. Unlike some other states, California offers an “automatic” homestead exemption to everyone who owns a home and lives in it. Or the exemption can be created through a process called “homestead declaration” which is filed at your local County Recorder’s Office. In both the automatic and declaration of homestead, it must be the owner’s principal residence. In order for the Homestead Exemption to work in the owner’s favor, you also must have owned the property for at least 1,215 days (40.5 months) prior to the bankruptcy filing. Your home does not have to be a detached single-family dwelling. If you own and live in a condo, townhome, motor home or on a boat and the deed is in your name - then you too can qualify for the exemption. What is the Homestead Exemption amount ? Homeowners who reside in the homestead and is their principal residence are entitled to protection of a certain amount of equity in their home from creditors. Currently there is 3-different homestead exemption amounts. The protected homestead exemption amount varies depending on an individual's circumstances. • If you are single homeowner, you have homestead protection up to $75,000 of equity. • A husband and spouse (married couple) receive a $100,000 of equity exemption. • A married couple with a gross annual income of not more than $35,000 will receive equity protection up to $175,000. • If you are over 65, your equity is protected up to $175,000. • Physically or mentally and "unable to engage in substantial gainful employment", your equity is protected up to $175,000. • A person 55 years of age or older with a gross annual income of not more than $25,000 will receive equity protection up to $175,000. Your homestead protection is not absolute. Let it be understood that there is some caveats to being “fully protected” under bankruptcy law. Keep-in-mind that the “general concept” is that the homestead exemption is to protect a primary residence from a “forced sale” - that is, having to sell the home to pay off creditors. An important point here that needs to be understood is that the homestead exemption may prevent the forced sale of your home if there is “insufficient equity”, but it may not prevent a forced sale if there is “sufficient equity” to pay a debt owed to a judgment creditor. If by chance there is a forced sale, the homestead dollar exemption amount is guaranteed to the homeowner before the creditor, forcing the sale, gets any money. How does one know if there is sufficient equity ? The total of the mortgage owed, any liens and encumbrances on the property plus the homestead exemption amount is subtracted from the court determined Fair Market Value of the home. Any “excess and/or surplus” of Fair Market Value is reason enough for a judgment creditor to force a sale. Here the creditor must decide whether it is worth it to force a sale to satisfy what is owed to them or a portion of it. The creditor will obviously incur costs to enforce the sale, such as attorney fees, processing fees etc. So if the “excess” is not even close to satisfying what is owed to them? The creditor may decide not to enforce the sale. Are “forced” (non-voluntary) sales common? They do take place but not as often as one would think because of the following reasons. The following 2-requirements must be met. The forced sale must generate a minimum purchase bid that (1) exceeds the total of the mortgage, liens and encumbrances on the property plus the homestead exemption amount. The other requirement (2) is that the minimum purchase bid must exceed 90% of the Fair Market Value of the home. If no minimum purchase bid is received that meets “both” of these requirements, the court assigned levying officer must release the property back to the judgment debtor (homeowner). • For practical purposes, most all residential properties are encumbered by at least one mortgage. Any such secured property mortgage balance, any liens, other encumbrances plus the homestead exemption take senior priority and must be paid-off before any money distribution is made to the judgment creditor. 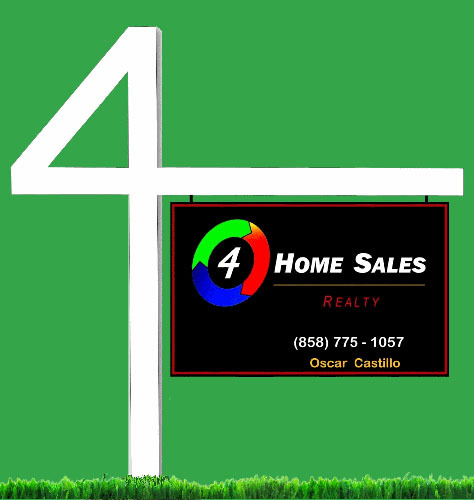 • The homestead exemption dollar amount must be determined. • The Fair Market Value needs to be established and approved (usually done by the courts). Hypothetically, let’s say there is judgment against a married couple. Their homestead exemption is $100,000. The fair market value of their home is $650,000. The mortgage owed is $570,000 plus the exemption amount of $100,000 totals $670,000. This is beyond the $650,000 fair market value. Here the judgment creditor should not start the process for a forced sale. Also in this case, the court will not even issue the court order for sale. Now let’s say the fair market value of their home is $725,000. The mortgage owed $570,000 plus the exemption amount of $100,000 totals $670,000. Here, on paper, it looks like there is a good amount of equity in excess of the mortgage and others owed plus the exemption amount. But the reality of this is that the fair market value amount has not been realized yet (on paper only). In forced sales the assigned fair market value is hardly ever offered from a party (purchase bidder) who wants to buy. If a forced sale is in the thoughts of a judgment creditor, in order to meet the second requirement, the minimum purchase bid must be greater than $652,500 which is 90% of the fair market value of $725,000. Keep-in-mind that the $652,500 does not meet the first requirement - in that any minimum purchase bid must exceed the total of the mortgage, liens and encumbrances on the property plus the homestead exemption amount of $670,000. Will somebody offer a minimum bid over 90% in order to exceed the $670,000 amount? Maybe, but usually the nature of these forced sales is that every purchase bidder, if any, wants to get a “good deal”. So if there is any bid over $670,000, it will not be for anything much over that. So more-than-likely, any amounts over the $670,000 will usually not be enough to satisfy a creditor judgment. Here the creditor must think if it is worth it to force a sale. In this scenario my guess is NO, so chalk-up another “thought about” force sale that will not take place. In most situations, relative to California law, the homestead exemptions and the 2-minimum bid requirements to force the sale of the debtor’s home make it difficult to execute such a sale. The only situation where a forced sale has more of a chance to be executed is when the judgment debtor (homeowner) has a lot of equity in the property. In this scenario, the homestead exemption plus the mortgage balance is not enough to save the property from a forced (“non-voluntary”) sale. Here if the non-voluntary (“forced”) sale amount is substantially enough to satisfy the mortgage balance, all liens and the assigned homestead exemption amount - then any judgement debtor (creditor) will seize the opportunity to force the sale and be reimbursed the money that is owed to them or at least a large portion of it after creditor expenses. In this unfortunate forced sale, remember that the “automatic” homestead dollar exemption amount is guaranteed to the homeowner before the creditor forcing the sale gets any money. Earlier in this article, I mentioned 2-Homestead Exemptions. Currently these protections are the only two California has as into law, they are “automatic” and the “declared”. 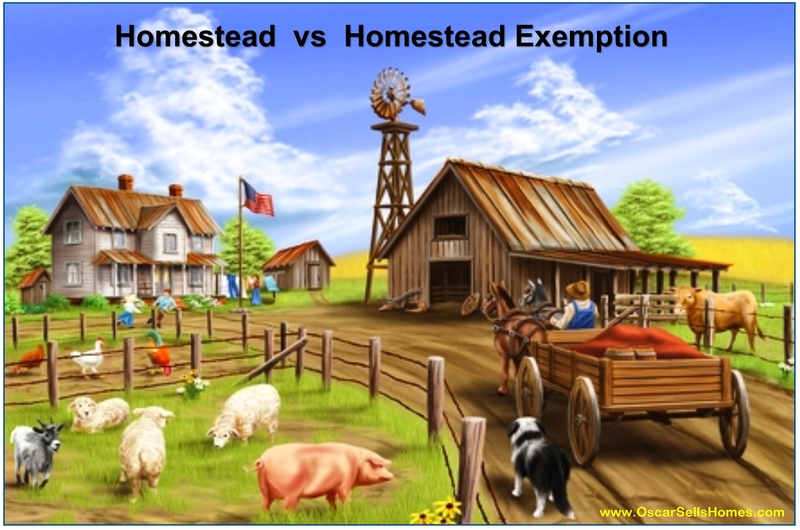 (1) In a forced sale, the "automatic" homestead exemption does not require the recording of a Homestead Declaration. The homeowner “automatically” qualifies for the exemption based on “residency” under Cal Code of Civil Proc. 704.710(c). The automatic homestead only protects the home against a forced sale (non-voluntary) that would not yield enough proceeds to pay the homestead amount before paying the judgment creditor. Also you need to know that the “automatic” homestead exemption benefit will not come into play when the homeowner voluntarily sells the home. Remember that the "automatic" homestead only applies to forced sales (non-voluntary). Here a voluntary sale is treated just like an ordinary sale where the proceeds will go to pay-off creditors and/or judgment creditor’s first - then any excess equity (if any) will be distributed to the homeowner. (2) The "declared" homestead requires that the homeowner record a homestead declaration. The standard recording procedure is to be done at your local County Recorder's Office. A dual benefit to recording a "declared" homestead is that it provides protection from creditors when you voluntarily sell your home as well as when a creditor attempts to force the sale of your home to satisfy a judgment lien. If a homeowner records a homestead "declaration" before a judgment creditor places a judgment lien on the "excess" equity. Here, the homeowner’s equity up to the exemption dollar amount is protected when the home is either voluntarily and/or forcibly sold. This stands for 6-months after the sale. The exempt homestead amount is to be used to purchase another home within the 6-month period after the sale. ♦ The California homestead exemption real estate law does not stop creditors from forcing the sale of your home. A judgment creditor must study the homeowner’s situation and see if there is enough equity above and beyond the total of the mortgage, liens and encumbrances on the property plus the assigned homestead exemption amount - this in order to decide if a force sale is worth it or not. ♦ The “declaration” of homestead exemption does not protect your home from your voluntary liens created through a mortgage/deed of trust and Home Equity Line of Credit (HELOC) loans. This meaning that a creditor (bank or mortgage lender) can foreclose on your home for non-payment and sell it at auction. Though the exemption cannot stop a judicial foreclosure sale, the proceeds must be enough to pay the homeowner his or her assigned exemption dollar amount. ♦ Other judgment liens that a “declaration” of a California homestead exemption does not protect your home from are… any liens for child or spousal support (unpaid alimony) and most mechanic liens. ♦ Also know that since the homestead is a state law, it takes a “back seat” to any Federal Law. In other words, the California homestead exemption law does not limit the collection powers of the IRS or other Federal Agencies. In the real world, the IRS seldom tries to force the sale of homes. Like most other creditors who have a lien on real property, the IRS also places a lien and will usually wait until the homeowner sells or refinances. In these cases, a sale or refinance generally require that any tax liens be paid before either transaction closes. Hopefully the information above is helpful and that you will walk away with plenty of “new found” knowledge in regards as to how a Homestead Exemption operates and how it is applied to protect you - the homeowner.